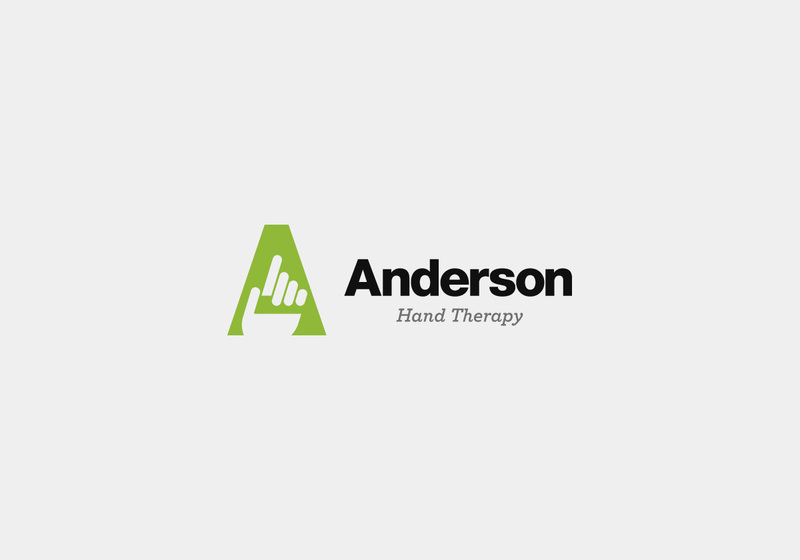 Anderson Hand Therapy is an independent hand therapy practice providing specialised treatment of all hand and upper limb injuries. 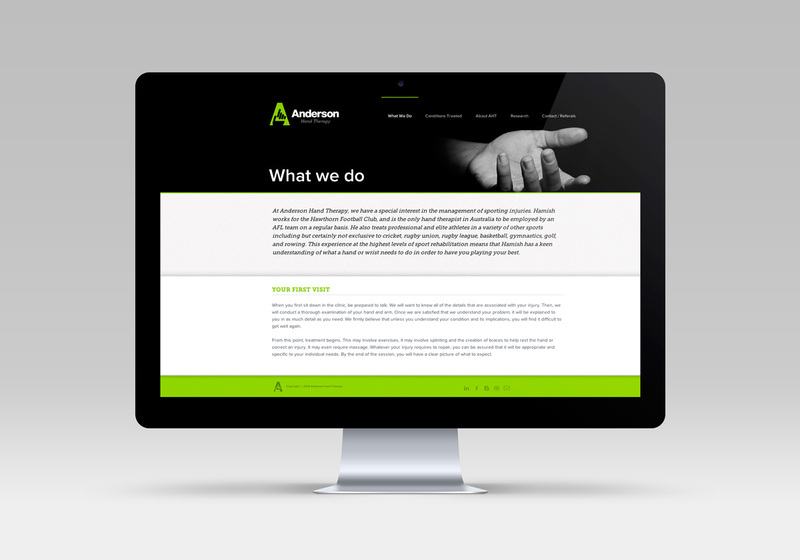 Initially AHD Studio was commissioned to rebrand the business. 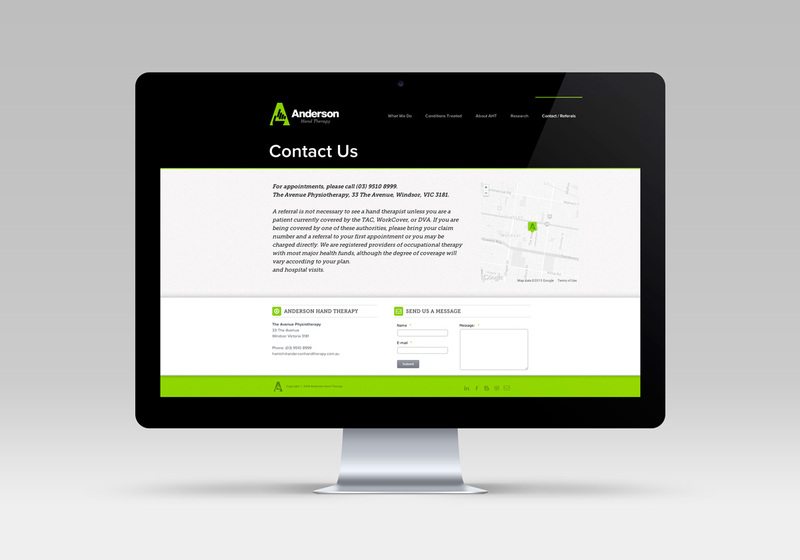 This led to a request to design and build a simple website with a Content Management System (CMS). 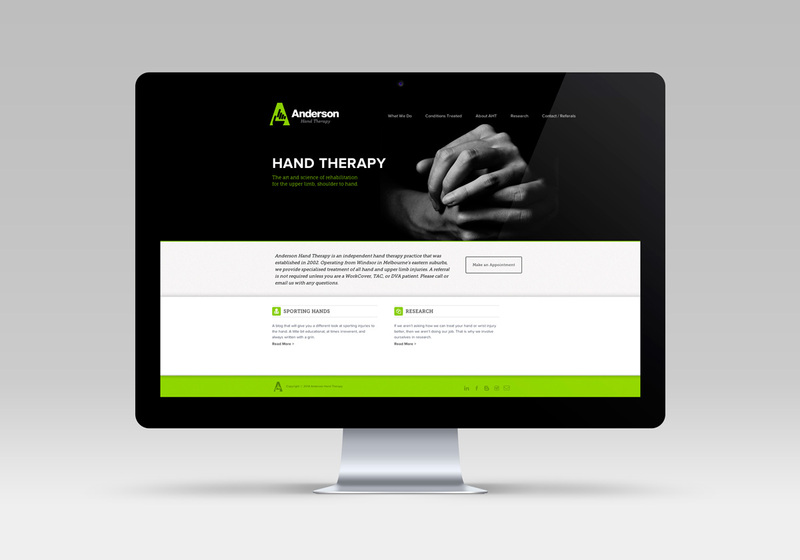 The site also links to a blog developed by the client.